As you know, not all fats in the diet harmful. Actually, there is one kind of these fats that are highly beneficial for our health, and we usually do not consume it in sufficient quantities. 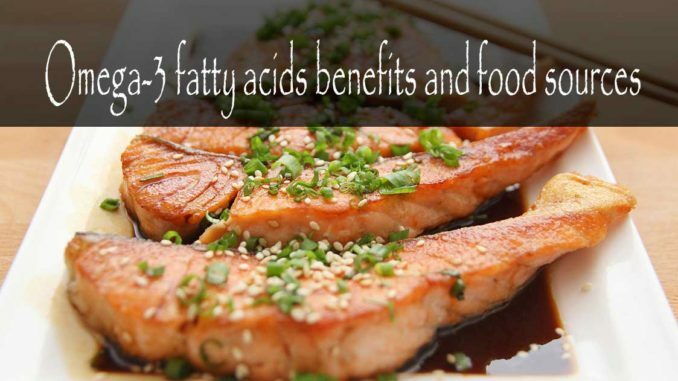 These are the omega-3 fatty acids! These fats are beneficial and essential to every cell of our body, and are particularly important for heart health and brain. 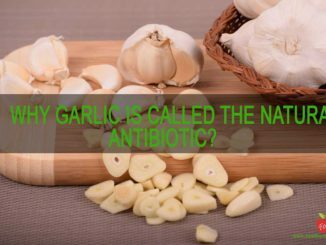 Among other things, they are the building blocks for hormones that regulate blood clotting, contraction and relaxation of arterial walls, and control the inflammation process in our body. Omega-3 fatty acids are polyunsaturated fats and are found in fish such as salmon, mackerel, sardines, herring, trout, smoked fish and fresh tuna. 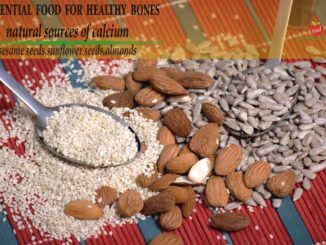 However, most of us are not able to provide enough of these beneficial fats in our everyday diet. Different types of product in question of plant origin contain short chain omega-3 fatty acids (ALA or alpha-linolenic acid). On the other hand, oily fish is rich in long chain omega-3 fatty acids such as eicosapentaenoic acid (EPA) and docosahexaenoic acid (DHA), which are the forms of omega-3 fats that the body can immediately use and are considered to be the most valuable for our health. Scientific studies that are carried out for decades indicate a link between increased intake of omega-3 fatty acids and reduced risk of heart disease. It has been shown that EPA and DHA reduce the level of triglycerides in the blood and play an important role in functioning of the cardiovascular system. Omega-3 fatty acids facilitate the regulation of blood pressure, which is of great significance because hypertension is a major risk factor for stroke. Numerous studies have shown that omega-3 fats allow maintenance of heart health as: maintain optimal attenuation levels of blood, which prevents thrombus formation and reduces inflammation in patients with heart disease, reduce the risk of cardiac arrhythmia’s, raise levels of good cholesterol (HDL), while lowering down the level of harmful cholesterol (LDL), slow down the formation of arterial plaque, which often leads to hardening of the arteries and increase the risk of coronary disease. DHA is essential for vision preservation. The newest studies have shown that DHA keeps eye health and prevent the deterioration of eyesight. In addition, this acid is very useful in case of dry eye syndrome, which is usually caused by everyday work in front of computers. Tests have shown that omega-3 fatty acids significantly relieves the symptoms of this disorder and creates a protective film on the surface of the eye, which prevents drying out and the appearance of symptoms. Scientific studies substantiate the claims of our grandmothers that fish oil is essential for healthy brain. It has been proved that DHA is vital for normal brain function (40% fat in the membranes of brain cells are made of DHA), while the EPA considers supporting transmission of signals between brain cells, and maintain vascular health. DHA also plays an important role in brain development in babies, which is another reason for this supplement to be used by pregnant women and nursing mothers. In a US study, which involved children aged seven to nine years, were established a direct link between increased intake of omega-3 fats and achieving better results on cognitive tests. English researchers found that higher levels of omega-3 fats in the body increase the effect of vitamin B-complex, which are known to prevent the weakening of mental abilities. See also: How should we feed our brain? 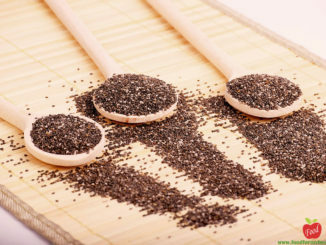 Excellent sources of omega-3 fats in plants are flax seed, canola (oil), nuts and green leafy vegetables. Another great source is fish and sea food. Amount of Omega-3 fatty acids in 100grams of fish and sea food. Recommended intake is 450 mg of EPA and DHA daily or 3 grams per week. To meet this need, be sure to eat two servings of fish per week. The meal should contain about 170 grams of raw fish and cooked or grilled is 140 grams. There is no doubt that the increased intake is beneficial to all people but researchers say they are just a little bit of people takes the recommended daily intake. If you do not like oily fish, it is important that the daily intake of omega-3 fats in substitute in the form of a supplement.